Do you long to travel country byways in your Tesla Model X while towing a luxurious camping trailer but are afraid of range anxiety? Let EVTO help you plan your next vacation and relieve that pressure from you. For this tutorial we will be traveling from Sonoma California to the West entrance of Glacier National Park in Montana. Our trip will encompass a total of seven days and we will travel over 1200 miles, consume approximately 700 kWhs of power, charge at intermediate stops for 7 hours and drive over 23 hours en route. While this tutorial will depict towing with a large travel trailer, many of the principles will apply when towing any type of trailer with a Tesla. We will call out any possible exceptions within the tutorial so you can accommodate your trailer type. Note: This tutorial assumes you have installed at least EVTO Version 3.0 and have a subscription active in order to utilize all of EVTO’s services and capabilities. Note: This tutorial assumes you have your Settings configured for Imperial units and your region set to North America. Car type and model: If you have a high profile trailer, one that rises well above the Model X, be sure to select the Model X High Profile option. Charge Positioning time: This is the total extra time in minutes required to unhook the trailer, move the car into a charging position and to restore the car to towing once charging is complete. EVTO uses this time to estimate any cabin heating/cooling and also to pad the charging time in order to estimate a reasonable departure time. This is needed to allow for an accurate weather forecast for the following legs. Payload: Add the total amount of weight of the trailer, whatever you have placed into the trailer, passengers and luggage placed in the Model X. In short everything but the weight of the Model X itself. Power Factor: This is a bit tricky and may require some experimentation. See the table at the bottom of this tutorial for suggestions for various trailer types. Note you can change this value in each segment of your trips if conditions warrant it. This will set the default value for new trips and trip segments. Speed Adjust: You may choose to reduced your speed from the average estimates the routing server provides EVTO. Choose how many mph or kph you would like to reduce your speed from the estimated flow of traffic. Max Speed: In many jurisdictions you will be constrained on how fast you will be allowed to travel, irrespective of the flow of traffic. EVTO will cap your maximum speed to this level. Note: If you want to duplicate this trip we are using a Tesla Model X 90D with the cabin control set to 75F and 100% of battery life. Let’s begin our tutorial by setting up a high profile Model X towing a large travel trailer. Touch Save to save this car profile and make it the current car. Your new car profile is now saved and will be used as the basis for a new trip. Some of the features will also be editibable by the trip or trip segment. We will begin the trip with a full day of driving up the Central Valley of California and stop at an interesting attraction near Mount Shasta in the Cascade Mountains of Northern California. The day will involve both travel on flat open highways and in mountainous driving that will test our cars towing range. There will be a fun adventure when we arrive and a nice place to camp for the night too, with hookups for both the trailer use and a place to charge if needed. So we need to get an early start and minimize unnecessary charging if at all possible during the first day. Origin: We’ll depart from: Sonoma, then select the Sonoma CA USA result from the displayed list of destinations. Destination: Enter railroad park, then select Railroad Park Resort, Railroad Park Road, Dunsmuir, CA, USA from the displayed list of destinations. Depart: Change the time to 07:00 am for an early start. Note: Weather can play a large role in the efficiency and range of EV’s, especially when towing a high profile trailer such as is depicted in this tutorial. In order to get the same results when duplicating the tutorial, it is suggested that you set your trip date, in Edit Trip Details, to August 1, 2018. If that date is past the current date, also select the Refresh Past Segments checkbox. While you are here you can also change the trip name to Glacier National Park as the default trip name is the first segment name. As you can see we have a full day of driving, range charging and a fun place to stay when we arrive so it’s important that we don’t waste any time unnecessarily charging or stopping en route. We plan to eat at charging stops and arrive within our minimal SoC. We can charge overnight at the RV park since all the trailer spots have at the least 30 amp chargers. We are planning on spending a few days in the Bend Oregon area with friends and unhooking the Tesla for various day trips to sights such as the Newberry National Volcanic Monument and Smith Rock State Park. Unfortunately with towing a large trailer it would be very stressful to try to get from our first night’s destination and arrive in Bend with sufficient time to get settled in daylight. So we have decided to spend the night in La Pine Oregon at the Hidden Pines RV Park before proceeding on to Bend the following day in a more relaxed manner. We are on vacation! We plan on arriving at our first nights stop with just the minimum charge to get us safely there. There are so many interesting things to do at the Railroad Park and in the campground, we are certain the trailer will be hooked up to the campsite power until late in the evening. 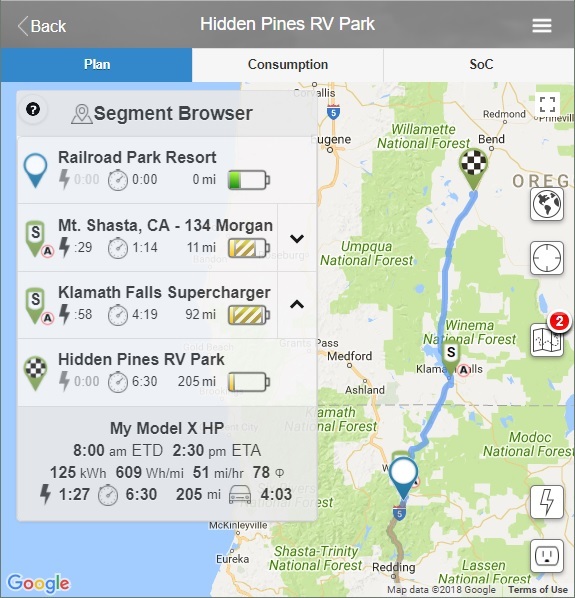 Since the RV park only has 30 amp service we plan on charging the minimum amount that night to get us to the next supercharger in Mount Shasta, which is only 12 miles away. We can eat breakfast in the trailer while the Tesla is charging at the supercharger. To determine the minimum amount of energy we need to add to the battery to make it to the next supercharger, Mt. Shasta, we will use the Rangefinder. To access the Rangefinder we select the lightning bolt icon on the map to show the supercharger icons. Scroll and zoom just above our current destination and locate the Mt. 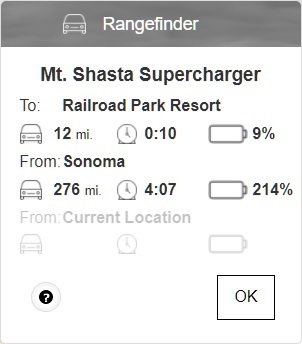 Shasta supercharger icon and select it. The Waypoint Inspector will display. Now select the car from the icon buttons on the Waypoint Inspector. The Rangefinder will display. Looking at the Rangefinder we notice that we will need a minimum of 9% more energy than we arrived with at the current destination. To give ourselves a bit of padding since there is a big climb to Mt. Shasta, we really want to charge the battery to 30% (an additional 15% added to the existing arrival SoC of 15%) before we leave the campground. We are now going to add our next segment to the Hidden Pines RV Park in La Pine, OR. EVTO will extend our trip by a day using our last location as the starting point. Select Add Segment from the plan menu. Destination: Enter hidden pines rv, then select Hidden Pines RV Park, Elderberry Lane, La Pine, OR, USA from the displayed list of destinations. A new segment will be added to the trip starting at the Railroad RV Park and ending at the Hidden Pines RV Park. 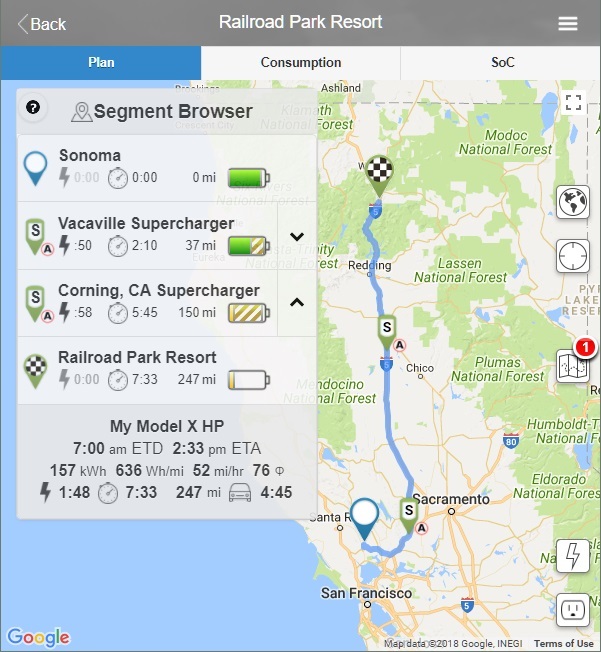 You will notice that destination icon of the new segment is red because we will need to charge at least once in order to make that destination. We chose to use the manual calculation (not adding chargers automatically) because EVTO assumes that any new segment originating at a charging stop should leave with the origin SoC you have set in the Settings dialog (by default 90%). In this case we only want to start our segment with 30% so we will need EVTO to use that value. Select Edit Segment Details from the plan menu. Org SoC %: Enter 30. 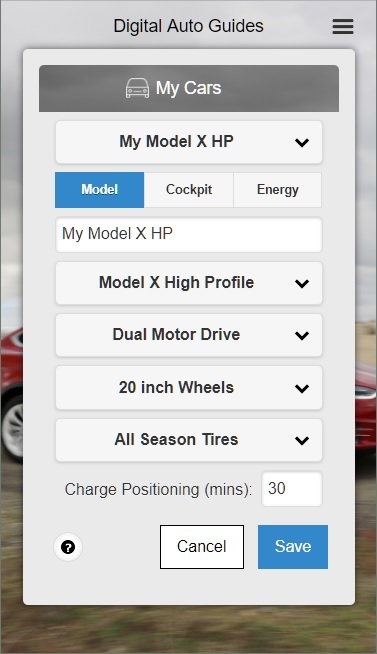 Select Refresh Auto Chargers from the plan menu. You should now show this routing for our trip to La Pine with charging stops at Mt. Shasta and Klamath Falls superchargers. This night we are going to plug the Tesla in to charge it overnight in order to be ready for our next day. Now we will be ready for tomorrow’s short drive to Bend, OR and perhaps some sightseeing stops along the way. Setting the charging for the evening of day 2. We have a leisurely day ahead of us with only about 30 miles to our destination at the Crown Villa RV Park in Bend, OR. But we have a couple of places we would like to stop at along the way and get some hiking and sightseeing in too. We won’t need to charge today because we topped off the night before but we want to account for our consumption and in case anything comes up we would like to know where we stand in terms of range and timing, so we will document this segment as well as the stops we have identified along the way we are sure to visit. This will also help us inform our friends when we will be arriving in Bend so they can come to great us and won’t be waiting unnecessarily. Since we won’t be charging on this leg we will just enter every stop manually and let EVTO calculate automatically as we make changes. 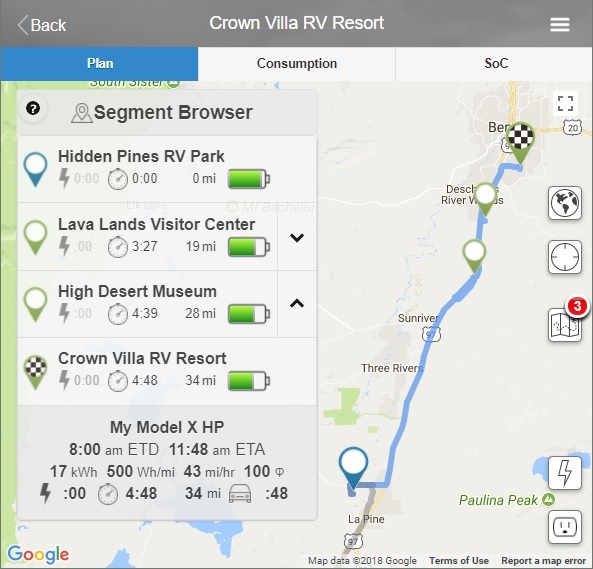 Destination: Enter crown villa rv, then select Crown Villa RV Resort, Brosterhous Road, Bend, OR, USA from the displayed list of destinations. We are starting the day at our default origin SoC (90%) so EVTO estimates our arrival in Bend to be about 70%. But we have a few stops to make along the way, but they should not require us to charge en route. The two places we want to visit are the Lava Lands Visitor Center and the High Desert Museum, all along our route to Bend, OR. 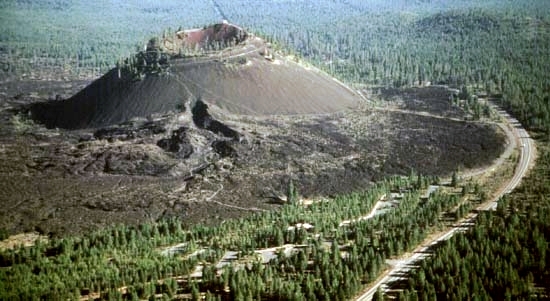 At Lava Lands we can tour the visitor center and also take a shuttle up to the top of the Lava Butte Cinder Cone and do a short hike. We are planning about three hours for all of this. Lets enter this stop in EVTO with the three hour stop. Select Add Waypoint from the plan menu. Destination: Enter lava lands, then select Lava Lands Visitor Center, Oregon, USA from the displayed list of destinations. We also want to stop at the High Desert Museum for an hour so let’s add that too. Destination: Enter high desert, then select High Desert Museum, U.S. 97, Bend, OR, USA from the displayed list of destinations. We are going to arrive in Bend, OR just about noon after a fun morning. We can now have a leisurely lunch, set up the trailer and disconnect the Model X to spend a few days with friends in the Bend area. As was mentioned earlier we plan to stay two days in Bend seeing and doing all of the exciting things that area has to offer and visiting friends. Our next stop will be the Columbia Sun RV Resort in Kennewick, WA. While only about 250 miles away it’s actually going to be a challenge for our Tesla and trailer because of the distance to the superchargers. Using the Rangefinder from Bend to the The Dalles supercharger it estimates our energy consumption to be 90%. That only leaves us 10% of reserve so we are going to have to monitor that closely. Our normal arrival SoC reserve is 15% so we are going to have to alter this segments Min SoC in order to stay within our limits. 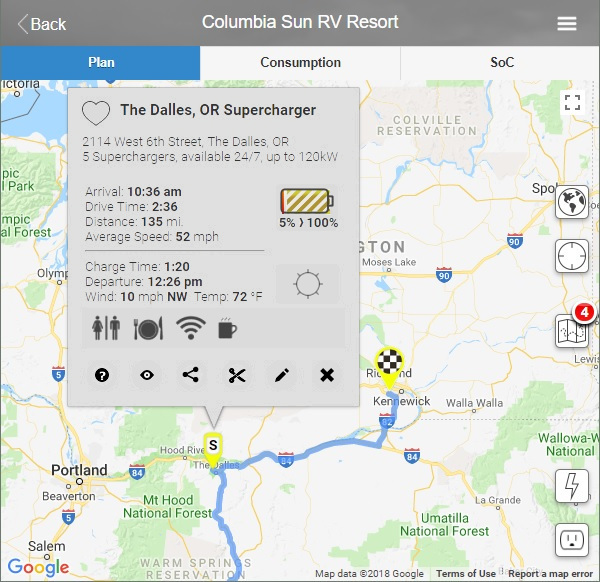 In addition there is a long distance between The Dalles supercharger and our destination so we want to have a charging place picked out just in case to be safe. For this segment we will enter everything manually and let EVTO do the calculations for us. Lets begin by creating the new segment. Don’t forget we are going to add an extra day at the same time we lower the minimum SoC value. Destination: Enter columbia sun, then select Columbia Sun RV Resort, Wiser Parkway, Kennewick, WA, USA from the displayed list of destinations. As you can see the most direct route is up US 97 to I 84 and then I 82 North to Kennewick. But of course we have to stop and charge along the way so it’s necessary for us to deviate a bit West at US 197 to charge at The Dalles supercharger. Enter Location: Enter the d, then select The Dalles, OR Supercharger, 2114 West 6th Street, The Dalles, OR from the displayed list of destinations. You will notice that both of our stops show yellow push pins. Lets see what this means. Touch the pushpin for The Dalles supercharger. This does not look good. But remember, EVTO by default sets the origin SoC at charging destinations to the value set in Settings (90% by default). We can change that for this segment to fully range charge to 100%. In addition we are going to lower this segments minimum SoC to 10% and monitor the drive closely. And don’t forget to add an additional day since we plan on staying two days in Bend. We now arrive at The Dalles supercharger at just under 15% but the arrival to our destination is still 6%, even below our new minimum of 10%. So we need a backup plan just in case. Looking at the map Arlington, OR looks like a nice place about half way that we could charge at if the weather and our speed don’t favor a more efficient leg. Lets see what PlugShare has to offer at that location. Opening the PlugShare app and entering Arlington, OR we find that there is a public parking lot on Locust Street that has a CHAdeMO plug. We just happen to have one for this trip so this could work out well if we need to stop. Select the sharing icon in PlugShare and the email option. Copy the line with http to the clipboard. Now return to EVTO. Now if we need it we can easily make it to our destination at Kennewick. We are getting closer to our destination of West Glacier but have a long day ahead of us. The routing this time will be simpler and we will let EVTO do everything for us. 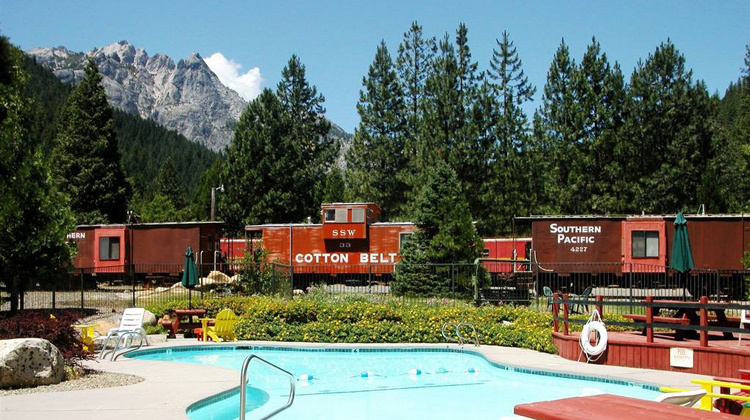 We just need to add a new segment with our next nights stop (the Eagle Nest RV Resort) and sit back. EVTO will recalculate the entire trip for us and add in all the required charing stops to get us to our destination safely. 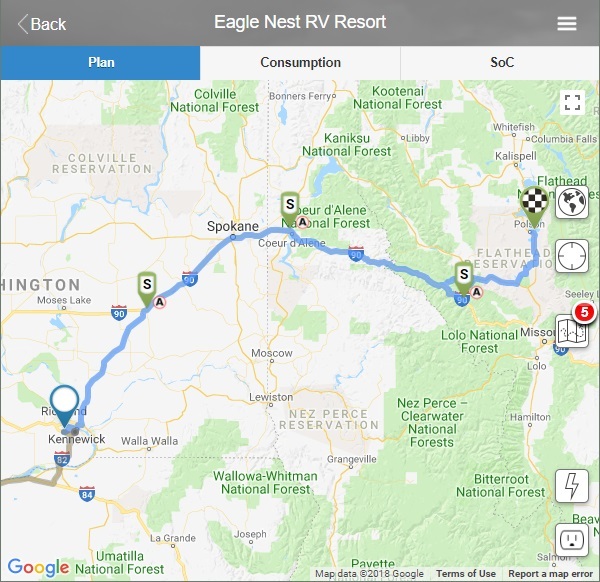 Destination: Enter eagles nest rv resort, then select Eagle Nest RV Resort, Eagle Nest Drive, Polson, MT, USA from the displayed list of destinations. 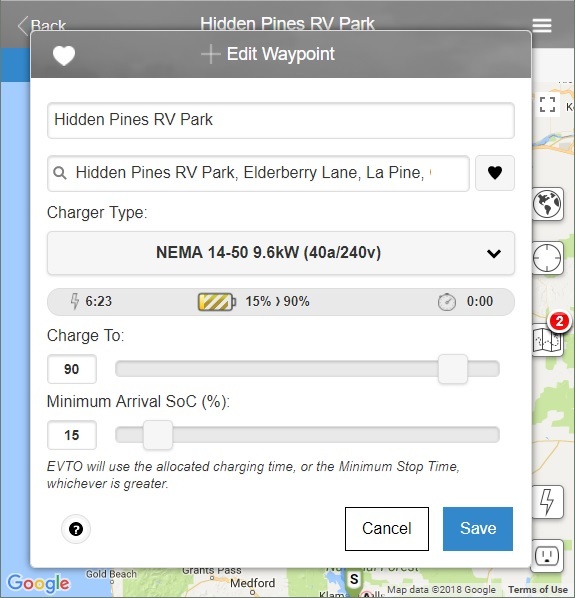 After a few moments EVTO will display the new routing for the trip adding in all the required chargers. We now have five segments and are just one short hop away from our destination, Glacier National Park in Montana. This is our final segment to get us to our destination of the west entrance of Glacier National Park in Montana. It will be a long journey but one that should be fun and a real challenge, but with the help of EVTO, easily achievable. Our journey will end at the West Glacier KOA campground which we can then use as a base camp for a week of adventure around the park. After that we will use EVTO to plan an extension of the vacation or our return home. Whatever our desires might be. 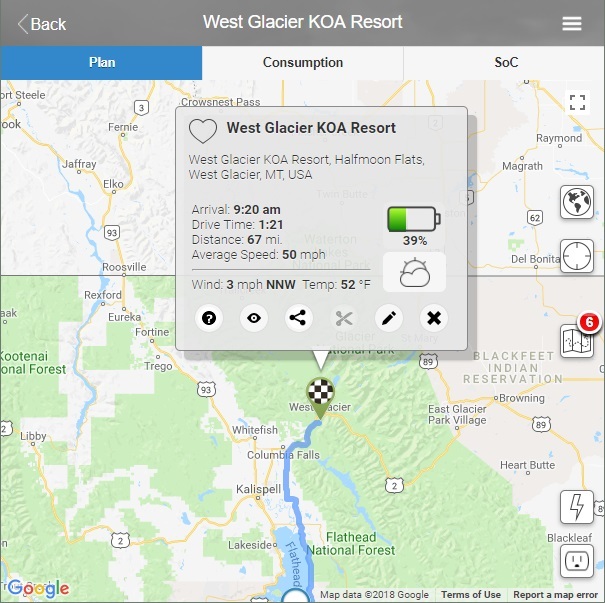 Destination: Enter west glacier koa, then select West Glacier KOA Resort, Halfmoon Flats, West Glacier, MT, USA from the displayed list of destinations. Our last segment will be added to the trip and we will easily sail into the campground with a short 70 miles of travel with plenty of energy to spare. We can stop along the way and sight see or stock up on needed supplies before entering the campground if needed. 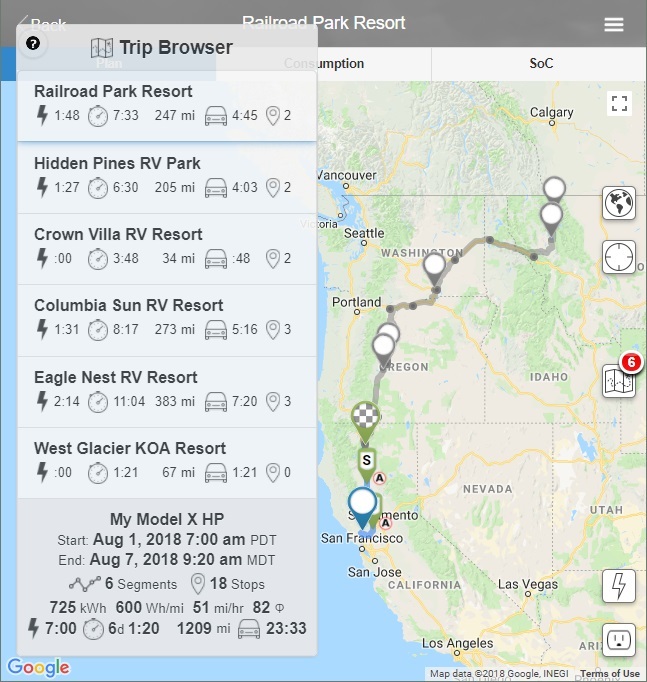 At the beginning of the tutorial we claimed we would plan an extensive Tesla camping trailer trip from Sonoma, CA to Glacier National Park in MT. Along the way we wanted to demonstrate various features of EVTO that you might find useful in planning an extensive trip such as this. We did not want to imply that this was the simplest way to get to our destination but our goal with this tutorial was to highlight features that you might find useful if you encounter situations such as these on your trips. All of these events actually did happen on similar trips. We wish you good luck with your Tesla trailer adventures and hope this tutorial and EVTO will help make your travels as effortless and enjoyable as possible. Good luck and safe travels, wherever your adventures may take you. Be sure to set the Payload to the total weight of all passengers, luggage, cargo and trailer in My Cars. Also pay attention to any speed settings or maximum speed you have set as well as climate control settings too. The following is a list of settings for various trailer types when planning trips using EVTO. These are a starting point and you may choose between the regular (2.59 m²) and high profile (5.50 m²) models as well as experiment with the Power Factor too. The High Profile car model is for trailers that sit above the Model X in height. Note this is not just for headwind resistance but also for cross and tail winds as well. When choosing a power factor also consider the aerodynamics of your trailer. If it is more square faced you may need to increase the power factor over the recommendations in the table. Enter the trip ID of 6ytvhipf5mpz2rabz3wbq and the PIN as 1234.